When it comes to advocating on behalf of entrepreneurship and free enterprise, there is no one more passionate about these topics than Neal Asbury, chief executive of The Legacy Companies. It is no coincidence that he was the 2008 recipient of the coveted United States National Champion Exporter of the Year Award. 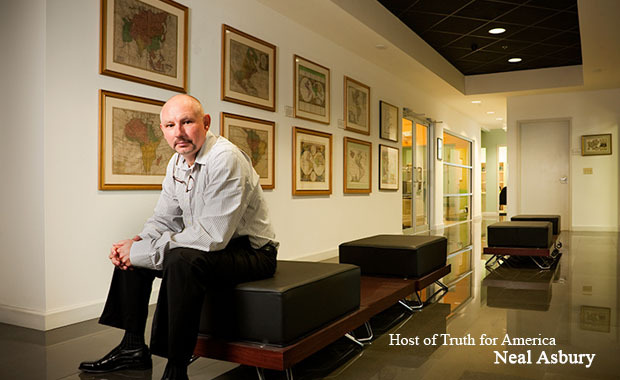 Each week Neal hosts the syndicated Truth for America radio talk show, produced by Atlantic Radio Network and syndicated around the country. His first book “Conscientious Equity” was acquired by Palgrave MacMillan and is now available. Buy your copy today! To ensure that you receive our emails, add neal@email.admail.net to your address book. Instructions for removal come with every email.